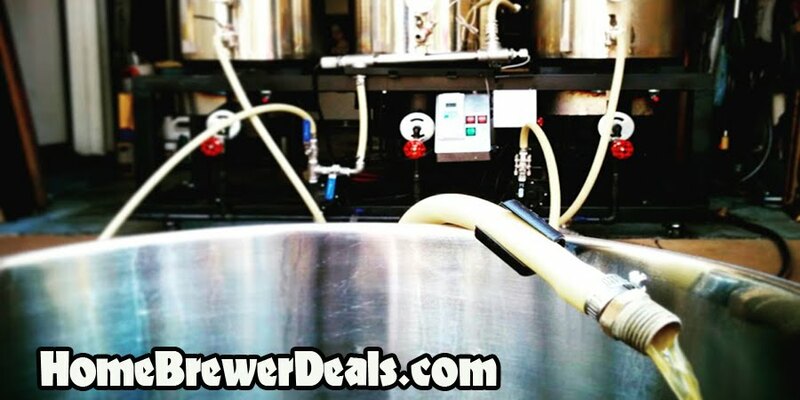 Coupon Description: MoreBeer.com currently has a coupon code that will get you a Counterflow Chiller for $199. This MoreBeer.com counterflow wort chiller has threaded 1/2″ fittings on the in and the out. This make connecting with pipe fittings possible. The inner tube is made from 12′ of 5/8″ convoluted (twisted) copper which continually mixes the wort as it flows through. The outer tube is made from 7/8″ copper. The Convolutus counterflow chiller allows you to pump wort through without having to restrict your pump to slow down flow.